You asked for it, we delivered. EES has released the Penny Splitter strategy, as featured in our best selling book Splitting Pennies - for the Meta Trader 5 platform. Check it out here in the MQL5.com marketplace. Joe and I had no trouble filling the time allotted to us for DestinySurvival Radio. He’s quite knowledgeable and explains things thoroughly. When I asked him to define Forex, it might sound at first like he’s going down a rabbit trail. But he’s not. Listen carefully to what he says about the U.S. dollar and foreign exchange money markets, and it will make sense. Throughout his book he layers on finer points describing Forex. Here’s how massive Forex is. Forex is the driver of the global economy. It supercedes nation states, politics, even religion. It’s not governed by law, but by trading principles. Our Federal Reserve plays a large role in Forex, as do other central banks. In the book he asserts it’s irrelevant as to who owns the Federal Reserve.Things are what they are. We owe it to ourselves to know a little something about how the system works. It’s startling to think our Federal Reserve can create money from nothing, and we accept it as such. Yet this plays a significant role in inflation, which affects all of us. Joe and I talked about this and explored what it means to have a fiat money system. Even though the Fed can create money from nothing, it wouldn’t be wise to print ourselves out of debt. Nor would it be a good idea to go into default. This may sound shocking to some, but Joe asserts in his book that the U.S. dollar isn’t backed by gold but by bombs. You won’t want to miss what he has to say about this during our conversation. If you’ve paid attention to the news for the past 10-15 years, you’ll observe he’s not saying anything we don’t already know. To me all of this is terrifying. We’re living in a world whose system is based on feathers and fairy tales. Does that mean the many dire predictions about a sudden economic crash are sure to come to pass? Not as Joe sees it. Or at least not in the way most sensationalists would have us believe. That’s because there’s no good alternative to the dollar. What does Joe mean when he says banks can’t do without the economy, but the economy can do without banks? We discussed that. And I think it bodes well for us, should we end up in the midst of the proverbial postapocalyptic scenario one day. And what about Bitcoin and other alternate currencies? They’ve been touted as revolutionary and independent of the big banking system. But are they? Listen to Joe’s comments and draw your own conclusions. If you make financial investments, Joe offers what seems to me to be a reasonable solution. But what if you can’t invest? Joe’s goal is to help you and me be better prepared financially. Thus, his book. You may also want to see SplittingPennies.com. If you believe everything you see on TV, you might want to checkout this book: A People's History of the United States; in fact - this is a MUST READ for any investor, as it explains history from 'another' side, the side of the people. Is TRUMP a 'people's' movement? One thing is certain, TRUMP has blown a hole in the illusion world many have been living in these past few years. He's exposed the corruption, and how the system has failed. The system really did work, it's not a cliche, but these were different times. You see, History is written by the winners, by the rich, by the haves - not the have nots. Who is Gore Vidal? If Bush hadn't stolen the 2000 Presidential Election from his cousin, Al Gore, everyone would remember this name. There are, like Gore Vidal, many Americans who are part of the Elite but are not so stupid, so corrupt, so greedy, so evil - like the rest of the crowd. In fact, there are many. But no one knows them - because they aren't part of the social control mechanism. They don't sell well. Who is Howard Zinn? Who cares - turn on the TV. One victim of this programming system are the executives running Sketchers corporation (SKX) whose stock dropped 17%, due to a number of factors, but - well they admiteed "I know nothing about Currencies" on the conference call. Losing millions for no reason, at least it's not helpful for investors' confidence. Additionally, the negative currency translation impact on our international wholesale and retail sales for the quarter was $15.9 million. We believe that our international business represents the greatest growth opportunity with many countries continuing to show strong sales increases in the quarter, including China at over 50%. "Currency Headwinds" are nothing new, but it seems corporate America still hasn't warmed up to the fact that there is something called FX, and it's possible to protect yourself from such changes, and it's called hedging. Heck, they can learn the basics from our book, take this course, or open an account for only $1 at Oanda and get world-class analysis for free. But it's easier to write it off as "Currency Headwinds" a popular topic at cocktail parties, and the leading excuse for losses. Remember "Inflationary Pressures" was an accounting-speak psuedo excuse for losses? The department of financial language modification is capitalizing on people's lack of knowledge of FX, and thus created "Currency Headwinds" as the new go-to phrase when your international business has a big red hole and you need to save face. By using this excuse, it will guarantee them a post-employment job at the Fed, because they were quoted in a major news source saying the keyword "Currency". This is an especially necessary mark on their Resume in case they worked their way to the top, and didn't go to Yale or Harvard B-school. Even though TRUMP isn't talking about FX, maybe it's really a big metaphor. This election has shown us so far how ridiculous and unprofessional the Establishment is. Never before have they been so sloppy, so bombastic, so irrational and vulgar, with their manipulation tactics - and shown it all in detail on social media! The fact that, after all this - people still vote for Democrats, shows either their utter stupidity, or their blind faith, and agreement that evil is good, corruption is good, war is good. Maybe they really are reptiles running our planet, if such people exist (if they really are 'people'). In either event, TRUMP already has won the information war. Never before has a non-establishmentarian been in the spotlight with a full audience, outlining all the corruption and manipulation and anti-American activities of the Elite. Any businessman in America knows it, either they are profiting from it, or they are angry about it. But not all people know - just like people don't know about FX. We should thank TRUMP for starting this conversation, they can kill insiders - but they can't kill us all. Bravo! But these measures, they are a direct attack on the current pay for play 'business' that's been created in Washington. It's really a great and noble idea. Making a business out of power - brokering is not a business at all. Politicians are supposed to be civil servants, not power monsters, grifters, or agents of foreign powers (i.e. Israel, Rothschilds, etc.) But are these measures practical? The octopus has tentacles everywhere, and they will stop at nothing to maintain their power and the status quo, even if it means suspending elections, martial law, starting a war, alien invasion, name it. Don't be surprised to see anything in next 2 weeks. In the meantime, get prepared! Don't forget that, politicians depend from one important entity - The Fed - for money. They need your votes, but more importantly, they need money. When Obama needs money, he doesn't beg from donors, he picks up the phone "Hello Fed? Yes, I need $100 Billion. For what you ask? I'm starting a War, I mean, (cough cough) I'm worn out.. Just need to pay bills of American people. 10 minutes? Thanks, you're the best." Yes, it really works like that - if you don't know - checkout this book Splitting Pennies - Understanding Forex. 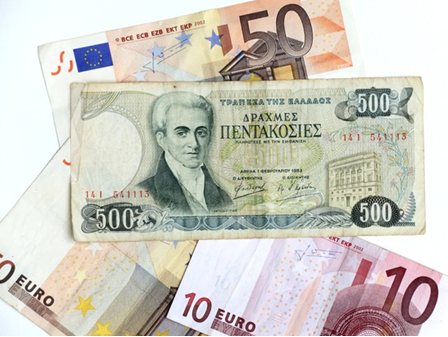 The Euro "will collapse" as it is a"house of cards" warned Otmar Issing, the founder and creator of the euro in an extraordinary interview on Monday. In the explosive interview with the journal Central Banking, Professor Issing, said "one day, the house of cards will collapse” as the European Central Bank (ECB) is becoming dangerously over-extended and the whole euro project is unworkable in its current form. The founding architect of the monetary union has warned that Brussels' dream of a European superstate will finally be buried amongst the rubble of the crumbling single currency he designed. “Realistically, it will be a case of muddling through, struggling from one crisis to the next. It is difficult to forecast how long this will continue for, but it cannot go on endlessly," he told the journal Central Banking in a remarkable deconstruction of the EU project. The respected economist launched a withering attack on so called eurocrats and German Prime Minister Angela Merkel, accusing them of betraying the principles of the euro and demonstrating scandalous incompetence over its management. And he savaged the whole idea of a federal "United States of Europe", saying the attempt to push through federalisation in a stealth manner "by the back door" has turned the very foundations that the currency was built on into a complete mess of patchwork legislation, into which it is sinking fast. As is frequently the case when there is substantive damaging criticism about the EU and ECB from respected and authoritative sources, the interview was treated in quite an Orwellian manner. It completely ignored and not reported by most state run media in Ireland, the UK and EU. Most state run media is overwhelmingly pro-EU and continues to ignore the serious problems and growing risks posed by the single currency and the undemocratic EU to the citizens of Europe. Nor was it reported in most corporate media in the EU which also tends to ignore all reasonable criticisms of the EU, ECB and especially the euro. The explosive interview has been covered extensively in the more "right wing" euro "skeptic" media in the UK in papers such as The Telegraph and The Mail which means that most people in the EU will not even be aware of Otmar Issing's very real and reasonable concerns and the growing risks posed to the currency they use in their lives every day and their very way of life. The coming collapse of the euro is seems inevitable. The question is when rather than if. It gives us no pleasure to say so as the collapse of the euro will be financially painful for family, friends and people and companies in all EU nations. 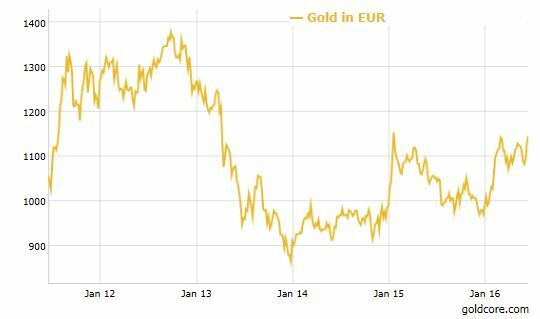 The euro has even greater challenges than sterling which has collapsed more than 43% against gold this year. It is only a matter of time before market participants and foreign exchange traders' focus, moves from sterling to the 'not so single' euro. Then the euro will see a similar depreciation and devaluation in the coming months. 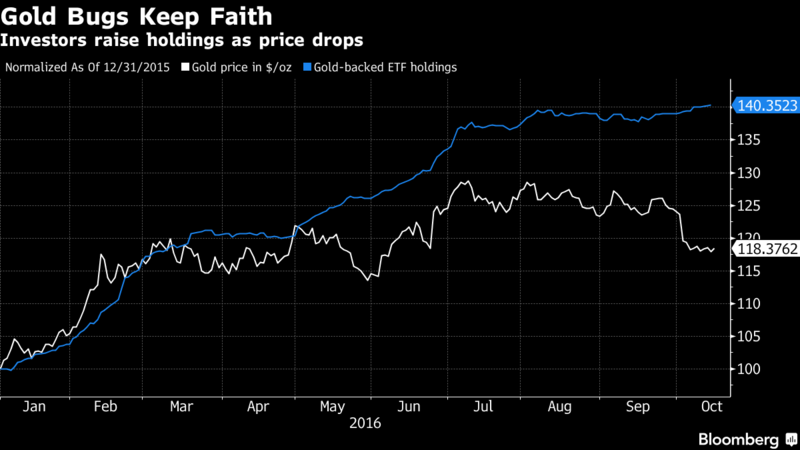 Gold will again fulfill its primary role which is as a hedge against currency devaluation. As it has done in the UK and many other nations in recent months and indeed has done throughout history. The war on intelligence is in full swing. It's game time. They've been planning this for years. As we explain in Splitting Pennies, the world isn't as it seems, in fact - the world is a great big illusion to many. In case you're not following this trend, since the 1980's the Elite in America have invested heavily in what one expert calls the "Dumbing Down" of Americans, basically, a coordinated effort to make Americans stupid. To get the gist of this program, you'll want to checkout this book The Deliberate Dumbing Down of America. It lays the groundwork for what decades later will become full scale intelligence warfare - it's the war for your mind. You see, the Elite, as rich and powerful as they are - they don't force anyone to do anything, physically. There's this pesky thing now, called "FREE WILL" and sadly, few choose to follow this (they prefer, to do what is told to them on TV, or have their opinions formed for them). Being covered here on Zero Hedge in an unprecedented fashion, never before have we seen the inner workings of how the Elite manipulate elections in America. During previous presidential elections, there wasn't such internet penetration. Also, the majority of people now carry smartphones, able to capture odd moments, or record 'secret' conversations, like this election official admitting to busing voters around to vote again and again. There's two issues high level planners are using to manipulate the vote. But let's give credit where credit is due. They're doing a great job, but at the consent of voters - and most of this 'manipulation' is actually legal. They are preying on the general stupidity and laziness of people. The first issue, is the artificial 'race war' that's being created - that's a topic for another article. The second issue, is the perceived threat of Russia. Russia never was a threat and never will be, economically, militarily, or otherwise. But it has throughout history, from time to time, served as a convenient enemy (such as during the 'Cold War'). Where to begin? Today's topic is more artificial - there's no situation with Russia. It's completely contrived. The Democratic party, in collusion with the entire establishment against Trump, has created a situation where "Russia is Bad" playing on the fears of older boomers who remember sitting under their desks in school during bomb raid drills. Even though many have grown up to realize it was all lies during the Cold War - not all have. And even those smarter boomers have deep seeded mistrust of Russians in the back of their subconscious planted long ago, by the social control mechanism. Point 1. Russia didn't hack the DNC. Listen to Putin's response here. Or ask Guccifer - the admitted hacker of many such data hacks. Point 2. It's impossible for Russia to 'hack' the election and fix the results. But, this is a meme that needs to be implanted because it's actually the DNC that's planning to fix the elections, with their establishement friends at Diebold. Point 3. Trump has no business with Russia. The threads they weave to build this link are so weak they are almost silly. Trump sold a property to a Russian oligarch in Palm Beach. He has sold thousands of properties, in New York and South Florida, statistically, any number of those properties could be Russian owned. There are 3.3 MILLION RUSSIAN-AMERICANS this is not a small number. Unlike previous generations of immigrants, modern Russian-Americans may keep ties to Russia especially with family. It's actually surprising that Trump hasn't done MORE business with Russians in America, especially regarding properties, as this has been one demographic that's been naive to the real estate bubble, snapping up high end properties in NYC, Miami, and LA. It looks as though, journalists were 'told' to make a connection, and then it was regurgitated throughout the establishment controlled media. So what is their game? Problem-reaction-solution. What's the problem? Russia wants to take over the world (or something like that, but since Soviet Union collapsed this argument is very weak). What is mostly people's reaction? Fear, confusion, and flight to safety - or at least, perceived safety. What's the solution? An establishment character, a 'Clinton.' Bill Clinton was in office at a time when the Soviet Union collapsed, and was highly disorganized. Of course, just like we said in previous articles, Bill Clinton was not responsible for the boom of the 90s, and he wasn't responsible for a weak Russia. But the way this social control paradigm works, it works on subtle references, subliminal messages, deeply implanted subconscious memes - and when you hear a 'bell' you raise your right hand and say "I pledge allegience to the flag of the United States of America, and to the republic for which it stands.."
Trump is being painted as a traitor - an anti-American, Pro-Russia (which means, pro-Criminal in their programming speak). Russia Slams "Unprecedented, Insolent" US Cyber Threats, Vows Retaliation This is perhaps the most embarrasing, ridiculous moment for a Vice President who is helping the democratic party get another one of their own elected, by being a key player in this anti-Trump/Russia meme. WARNING - TO THOSE READERS WHO HAVE CHILDREN, YOU MAY WANT TO CENSOR THIS CONTENT AS IT CAN LEAD TO ADULT-STUPIDITY. Russia in this case is a bystander, they're just again a convenient enemy. But are they really? As we've seen in the complex black hole Syria, the enemy of my enemy, is my friend. It wouldn't be surprising if Democrats had a deal with the Kremlin, 'look mean - wave your arms around, speak in large words with a loud voice' and the translator inserts in English "I will destroy American Culture, burn your villages and steal your potatoes!" To clarify, Russia is not a threat to US democracy. Russia has severe problems of its own. Russia is not going to hack the elections. Russia is being used as a 'proxy issue' in order to confuse voters into voting for Clinton, the establishment candidate. To learn more about the way the world really works, checkout Splitting Pennies - or get a 'reality' education from Fortress Capital Trading Academy. “I got a call from the publisher telling me when I should tune [in at 5pm] and I never listened [before], so I tuned in [and] there was five minutes of music… I started getting phone calls from around the country asking ‘What happened to the piece? '” Chomsky remembered.